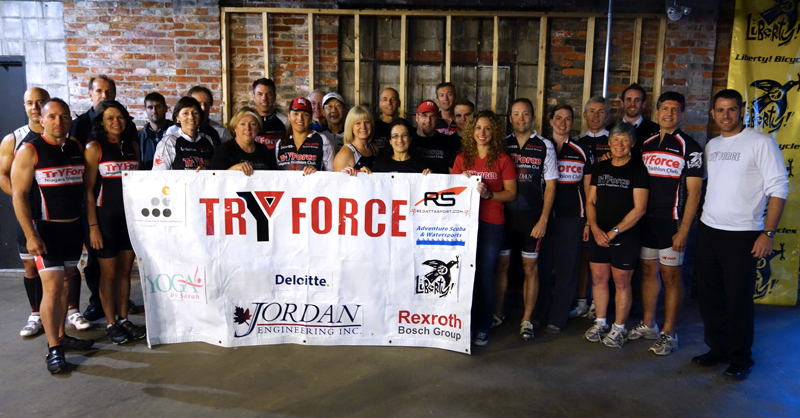 TrYForce coaches and members are dedicated to the development of skills and physical fitness pertaining to the sport of triathlon training and racing. Swimming, cycling and running are the main focus of the sport. Nutritional practices and training regimes also play a very important role and together with swimming, cycling and running, form the bases of a strong foundation for a successful Triathlete. TrYForce club training activities run all year round. See details below. Click these links for the TrYForce FaceBook Group or this website's calendar. The Swim, Brick and Ride will be cancelled if it is raining or there are thunderstorms . Up to date cancellations will be posted on the blog and on facebook. (Time: 7:30 AM for long distance group only as of March 3, 2019 - TBC). The start times will eventually get earlier for the long distance group as distances get longer. Place: Port Dalhousie parking lot near where Tim Horton's was. Coffee at Balzaks after - around 9 AM. Run Plan: The long distance group's schedule allows you to build up to the Chili Half, Around the Bay, and the Mississauga Marathon. 1 - Interval / Hill Runs starting this year! Locations are Hydro Hill or Welland canal locks. 2 - This year the outdoor swims will now be on Mondays, and the new runs on Tuesdays. Swimming (open water) - Bring your safety buoys! Meet near the docks in front of the bleachers. - North Welland Flat Water Recreational Center, 108 Thorold Rd East, Welland ON. Meet on dock. - Lakeside Park beach, Port Dalhousie, 9 Main St, St. Catharines. Meet on the beach - west end. - Nelles Beach, 91 Lake St, Grimsby. Meet on the beach. ​Levels: This is for everyone! The repeats all start at the same location. “Hydro Hill” base – near end of Lockhart Drive, off of Glenridge Road, St Catharines. This offers quiet paved roads, and hilly gravel and dirt trails. See map below. Levels: This is great for EVERYONE! ​Hydro Hill - Lockhart Drive, St Catharines. Off of Glenridge Ave - below Brock U.